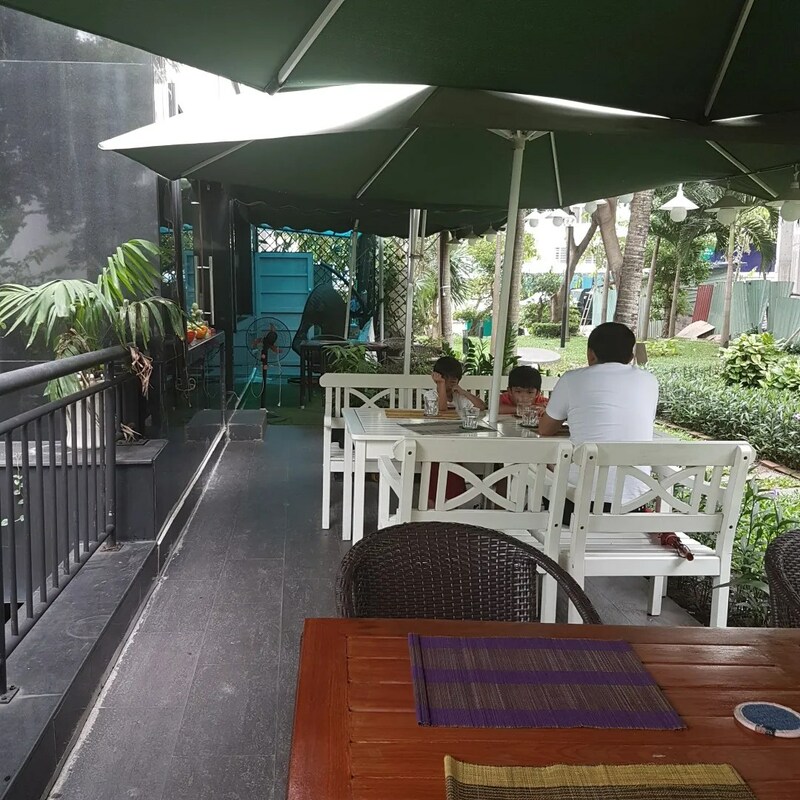 Breakfast at Eden Coffee House | Hello Saigon! 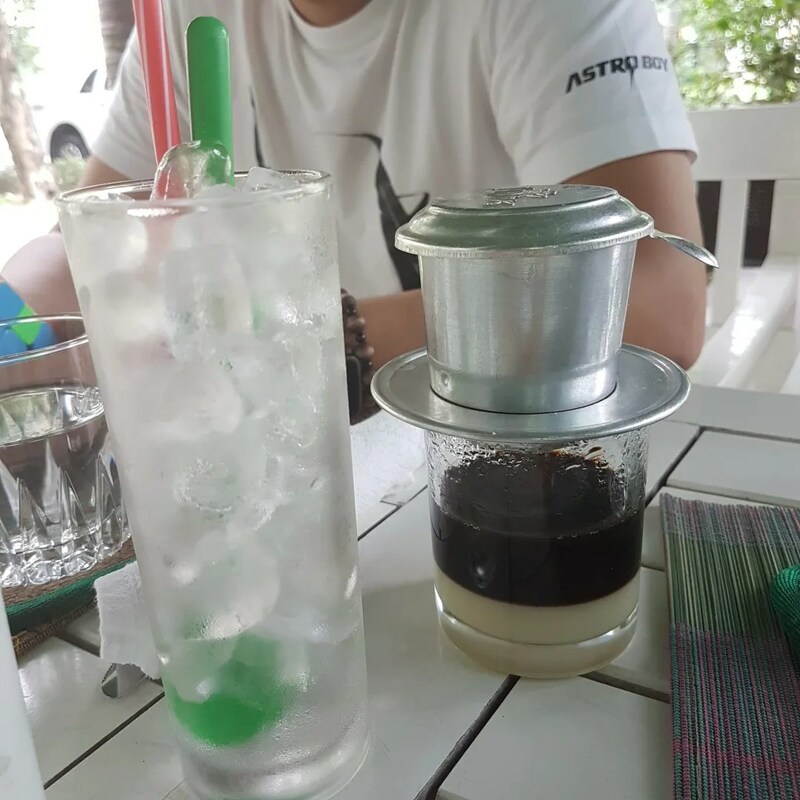 I’ve been thinking about featuring different coffee shops in Phu My Hung — at least near my place. Aside from the abundance of Korean restaurants in PMH (with it becoming more known as K-Town), there is a coffee shop on every street in Hung Gia. We usually bike on Sunday mornings and end up having breakfast at either Dunkin Donuts, McDonald’s, Boomarang or Mimi. 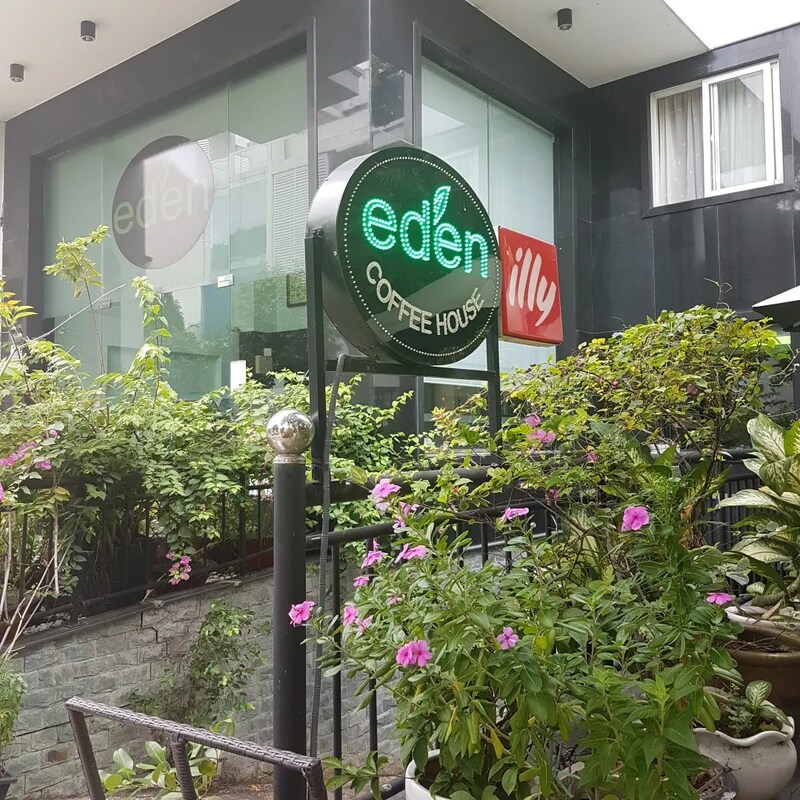 But today, we decided to check out Eden Coffee House which have some great reviews online. With both my boys now having a say on where to eat, it’s now a bit difficult to persuade them to try a different place. 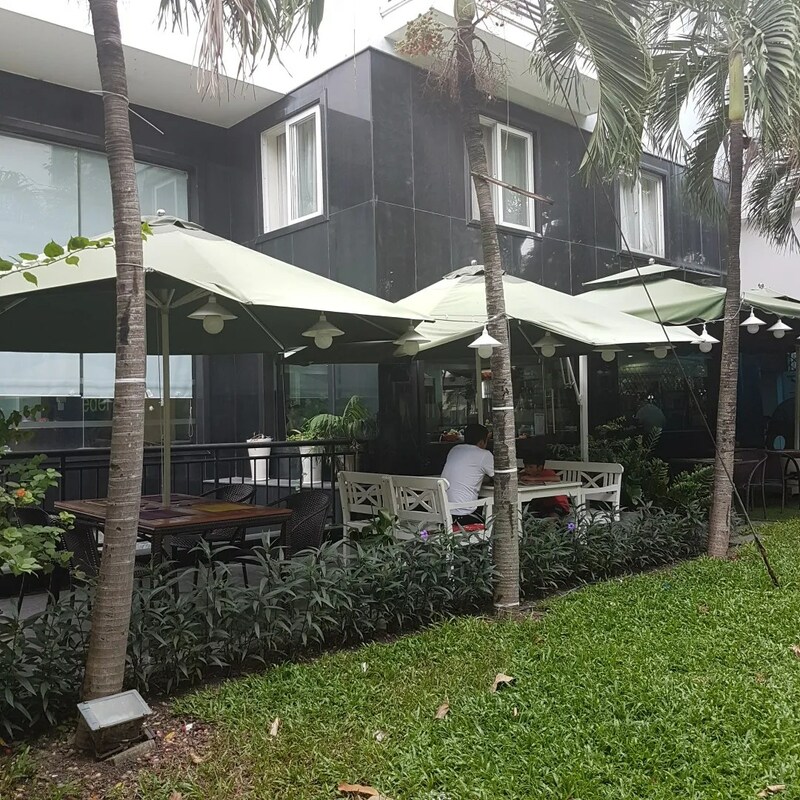 Eden Coffee House is tucked in a quiet street of Hung Phuoc 1. There is indoor and outdoor dining, and I believe they also have rooftop dining. We decided to stay outdoors. Today we the sky is overcast and looks like it’s on the verge of rain. There were a number of customers around too and all foreigners. The coffee is delicious! Love the coffee here! We ordered the Bacon Benedict, Big Breakfast, and a crepe. 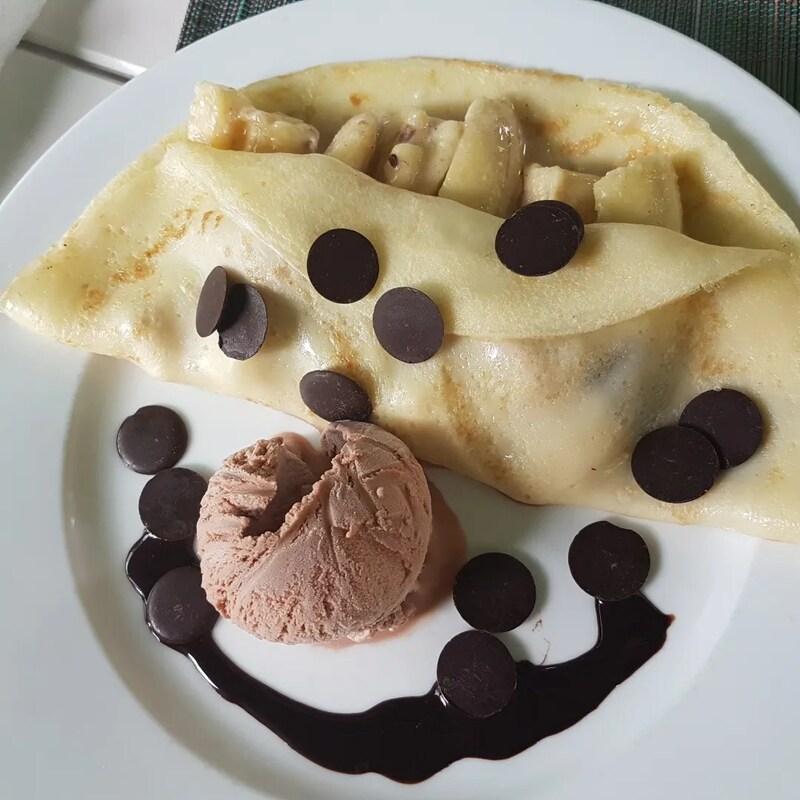 There wasn’t any pancakes, so we got the crepe but it wasn’t what we expected. We didn’t realize how big the servings were! Would definitely recommend their food for sharing. 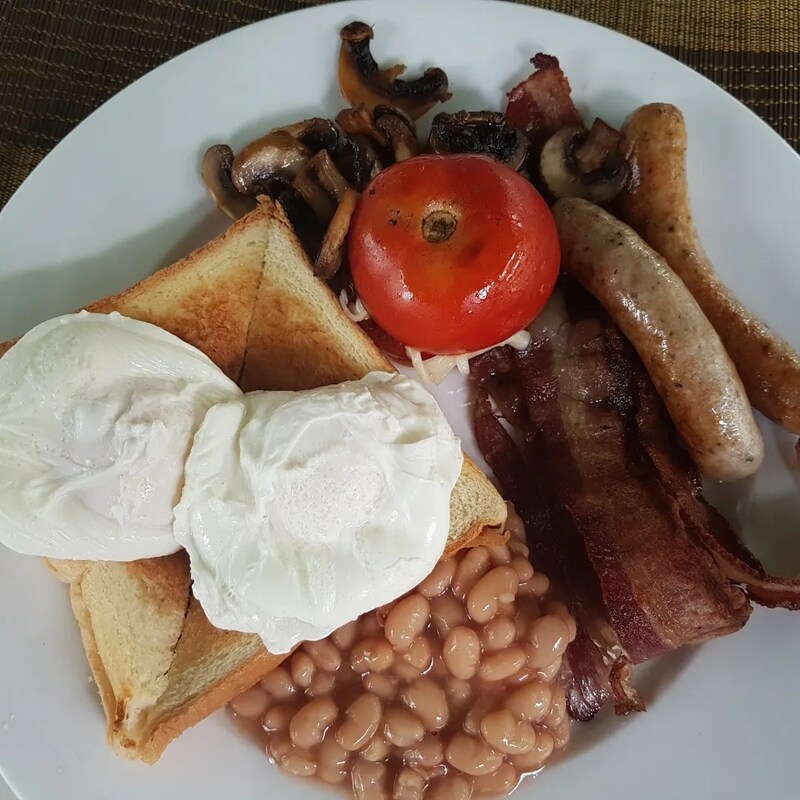 Eden Coffee House serves Western dishes that are really good. 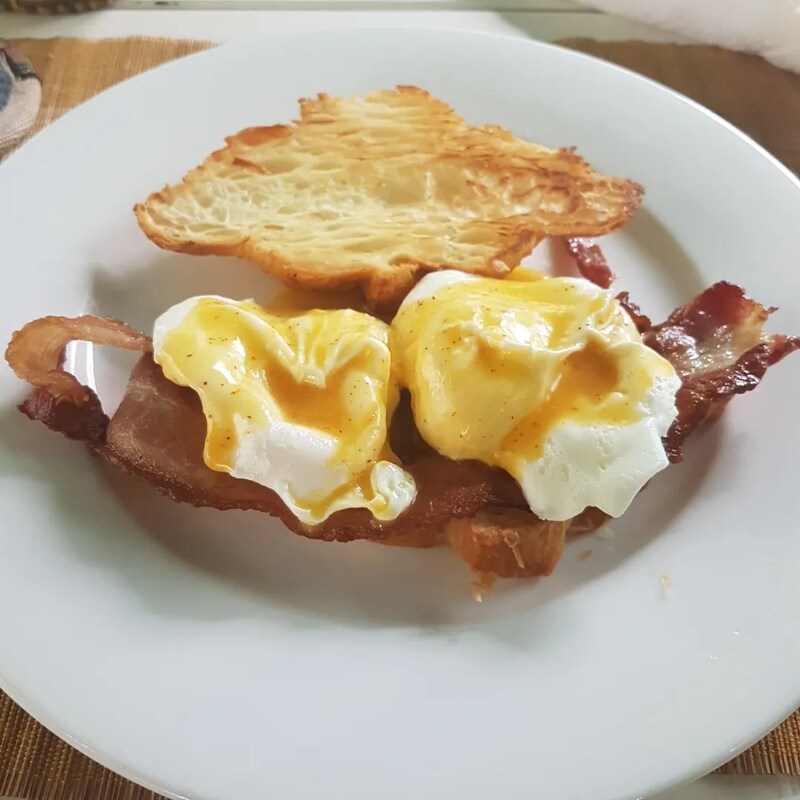 I enjoyed my Bacon Benedict and would definitely order that again when we visit next time. The price point however is quite on the pricey side. Think Boomerang. But I guess, you get your money’s worth and it’s a pleasant surprise to find this near our place. 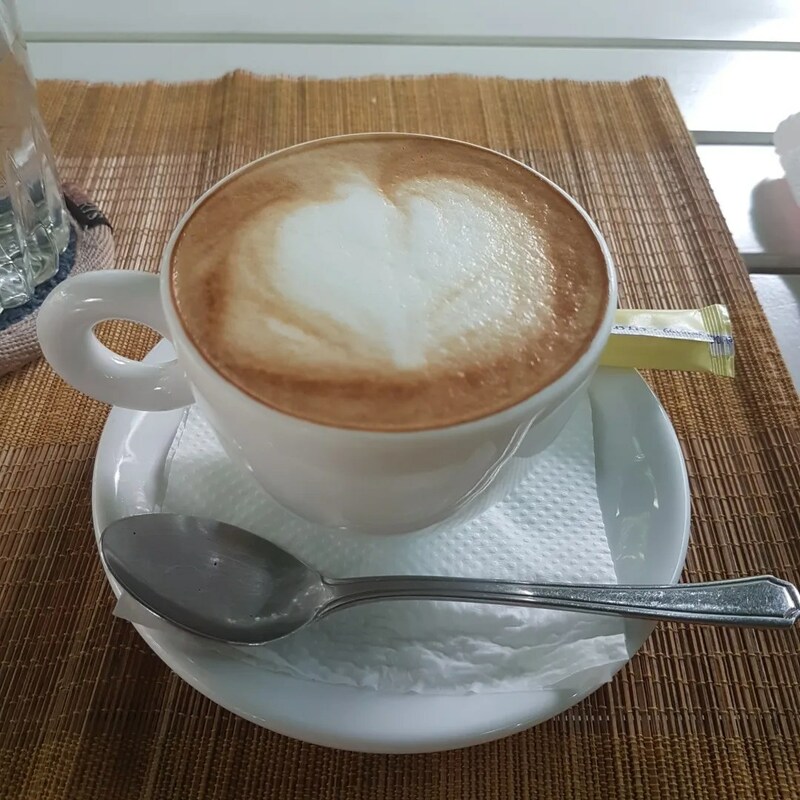 This entry was posted in Gastronomic Delights, Uncategorized and tagged Eden Coffee House, Hung Phuoc, Phu My Hung. Bookmark the permalink.